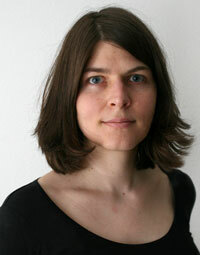 Brigitte Schuster is a graphic designer, specializing in typography and type, as well as a writer and teacher. Brigitte Schuster studied communication design in Munich (Berufsfachschule für Kommunikationsdesign), visual arts in Italy (Academy of Fine Arts Carrara), type design in The Hague (KABK, Type and Media), and is currently studying at the University of London as part of an MA in book history. In 2013, she set up her own publishing house, ‘Brigitte Schuster Éditeur’. She currently lives and works in Berne, Switzerland. Read also the interview with Brigitte Schuster.